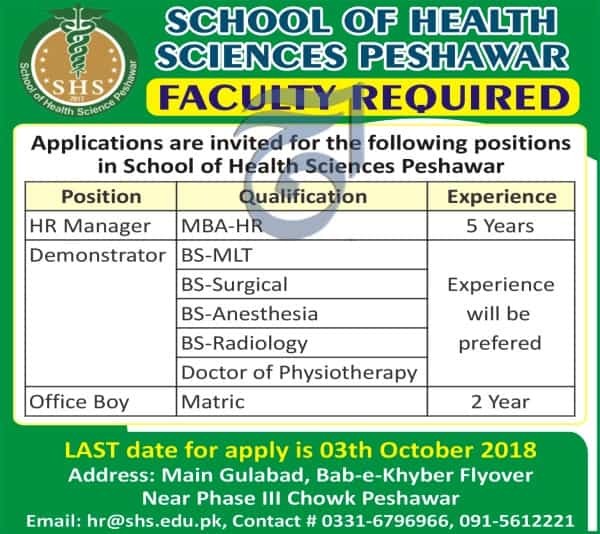 School of health sciences Peshawar Jobs 2018 Sept 23 is published in daily AAJ newspaper. Application deadline is 03-10-2018. Here is the detail. Last Date to Apply: October 03, 2018.